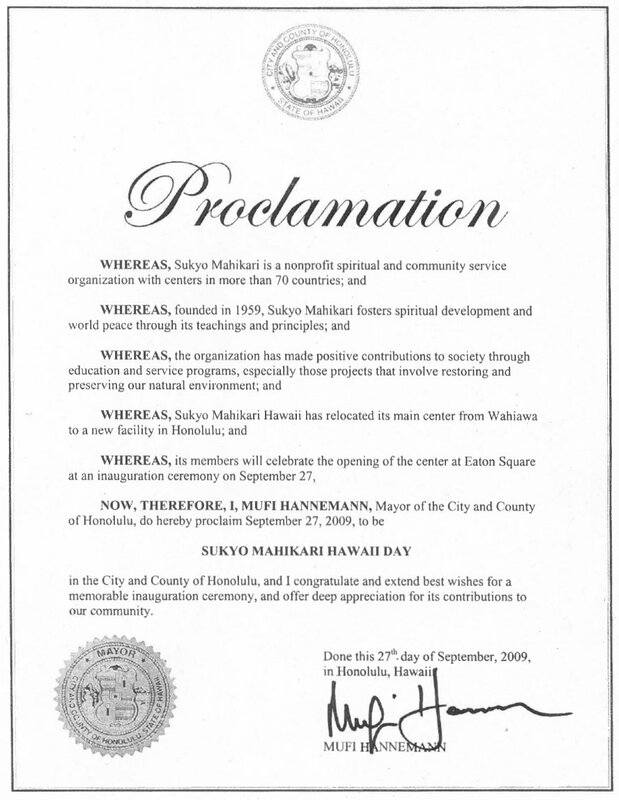 Sukyo Mahikari ("Sukyo" means universal principles and "Mahikari" means True Light) is an organization with centers in more than 100 countries. The stated aim of the organization is to help people improve the quality of their lives and attain happiness by practicing universal principles and a method of spiritual purification called the art of True Light. It was founded by Kotama Okada in 1959 under the name L. H. Yokoshi no Tomo. Sukyo Mahikari was registered on 23 June 1978 by Keishu Okada as part of an amicable settlement following the passing of Kotama Okada. In 2013, Sukyo Mahikari announced it had a membership of approximately one million practitioners. Sukyo Mahikari does not advocate the use of the art of True Light as a substitute for medical treatment or therapy. The founder of Mahikari, Mr. Kōtama Okada, taught that the purpose of the art of True Light is not to heal disease or illness, but to be of service to society, bring happiness to people, and attain divine nature. Sukyo Mahikari encourages people to incorporate the divine principles in their daily life by practicing virtues such as altruistic love, gratitude, humility and acceptance of the will of God. Members also practice prayer, cultivating positive and cheerful attitudes, promoting love and harmony, and helping others. Founder Kōtama Okada believed that if people lived in accordance with the universal principles, they would cultivate their spirituality, and naturally come to use science and technology that was integrated with an understanding of spirituality, to find solutions to pressing issues facing humanity. Becoming a member of Sukyo Mahikari does not require giving up any preexisting beliefs or accepting Sukyo Mahikari as the only path or faith. Sukyo Mahikari teaches that the art of True Light and the universal principles transcend religious denominations and differences in ethnicity, nationality, and ideology. 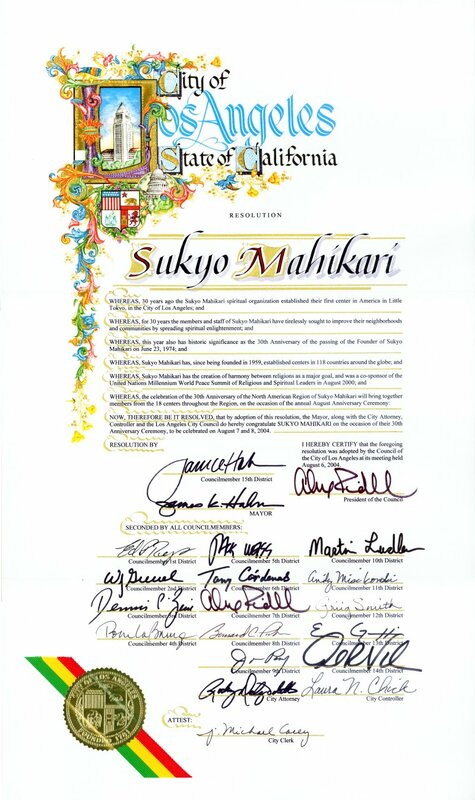 Sukyo Mahikari promotes cooperation and understanding between religious organizations toward establishing a sustainable and peaceful society. The emphasis the organization places on the spiritual unity of human beings has resulted in a membership that reflects a diversity of religions and nationalities. In 1985 Keishu Okada established the Yoko Civilization Research Institute (YCRI). The objective of the forum is to find solutions to today's problems by having leaders in different fields, regardless of their race, nationality, religion, and ideology, come together to share their acquired wisdom. ^ "NYSERDA Press Releases". NYSERDA. Archived from the original on 2012-12-14. Retrieved 2010-07-21.